SEOUL, Oct. 11 (Yonhap) -- Samsung Electronics Co. on Thursday showcased its Galaxy A9 smartphone packed with four rear cameras, which will reach the global market in November. The South Korean tech giant showcased the device in Malaysia. It comes with a 24-megapixel main shooter, along with a 10-megapixel telephoto, 8-megapixel wide-angle and a 5-megapixel camera, with emphasis on creating excellent depth of field. It also sports a 24-megapixel selfie camera. 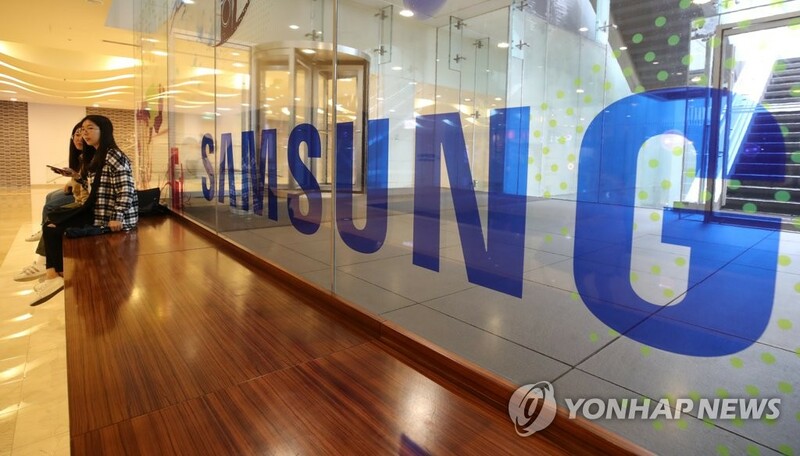 Samsung Electronics President Koh Dong-jin, who heads the company's mobile business, claimed the new smartphone targets a new generation of consumers who tend to communicate through images they shoot. The Galaxy A9's cameras beat LG Electronics Inc.'s V40 smartphone just showcased earlier this month, which has three rear-facing cameras. The company added that the new smartphone supports the Intelligent Camera system as in the flagship Galaxy Note 9, which automatically identifies objects to provide users with optimized shooting modes. The Galaxy A9 also notifies users when photos are out of focus or when it detects a person has blinked their eyes. Such features can allow shooters to get better results. Samsung said the Galaxy A9 is also capable of gathering more light in dark environments, enabling users to get more vivid photos. The Galaxy A9 comes with a 6.3-inch display with an aspect ratio of 18.5:9. The battery capacity stands at a solid 3,800mAh. The smartphone will be released in two editions -- 6GB and 8GB RAM -- with internal storage capacity of 128GB, which can be extended by 512GB using micro SD. Along with the black model, Samsung also adopted gradient colors for the blue and pink editions of the Galaxy A9. Samsung, meanwhile, displayed the Galaxy A7, which was showcased in September, at the event. The Galaxy A7 comes with three cameras, and will be released in South Korea this month.